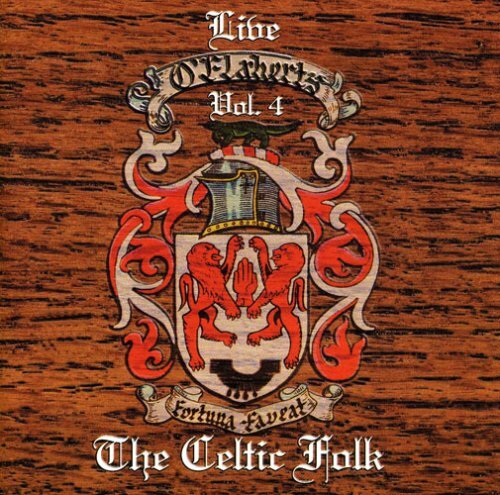 This live album of traditional Irish folk songs and Irish drinking songs was recorded at O'Flaherty's pub and is truly fun-filled and entertaining and goes to the heart of the Irish in all of us. Irish-born folk singer Danny O’Flaherty, whose landmark O’Flaherty’s Irish Channel Pub was for 15 years a cultural icon in New Orleans’ French Quarter, saw his home, his possessions and his livelihood wash away in the devastation of hurricane Katrina. His unique, soulful voice - always remarkable for the spirit and heart displayed in the songs - now has the heartbreaking experience of last year’s calamity adding to his expressive delivery. Displaced to Texas, O’Flaherty now tours the country, allowing audiences nationally to savor the numerous Irish folk songs he grew up hearing and learned in his home village in Connemara, Ireland. His prowess on 6 or 12-string guitars, accordion, harmonica, tin whistle, or flute is simply dazzling. Danny has been wowing audiences since first landing on these shores in the early 1970's, highlights including having played for President Reagan’s Inaugural Ball and for Pope John Paul II at the National Cathedral. In addition to his now-constant touring, Danny includes benefit performances for Irish cultural awareness events and leads regular tours of Ireland. If you have any questions about this product by O'Flaherty, contact us by completing and submitting the form below. If you are looking for a specif part number, please include it with your message.